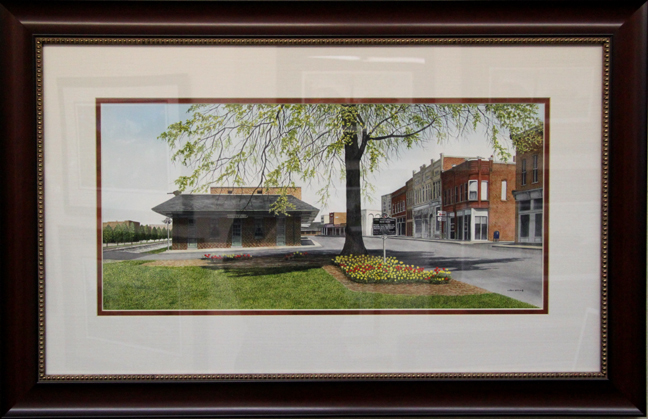 Here is a watercolor that was a labor of love. I try my best to preserve as many of the landmakrs as I can that are quickly disappearing from our countryside. 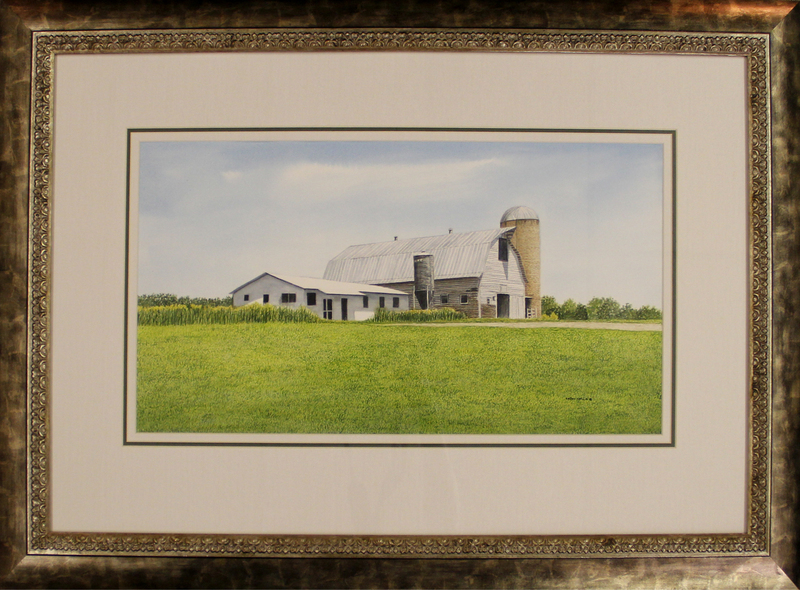 I did this painting of the beautiful Harris barn and silo on Highway 3 near Mooresville, North Carolina. The silo has since been torn down, but the bar still stands today. The painting has been beautifully framed and matted and museum mounted to insure its permanance..